In this column, Jim Yong Kim, president of the World Bank Group, writes that between 2008 and 2010, eight of the 10 countries with the highest rates of inequality in the world were in Latin America, despite the region's impressive growth. If unaddressed, such widespread inequality will continue to stoke volatility across the region. Alternately, replicating policies that have been adopted in countries like Brazil to equalise opportunities and incomes will ensure the kind of sustainable growth that is vital to maintaining social, economic and political stability. WASHINGTON, Jul 2 2013 (IPS) - Latin America has had a good decade. Over the last 10 years, economic growth averaged 4.2 percent, and 70 million people escaped poverty. Macroeconomic stability, open trade policies and pro-business investment climates have supported and will continue to support strong growth in the years to come. Crucially, economic gains are being broadly shared. A recent World Bank report found that the middle class in Latin America grew by 50 million people between 2003 and 2009, an increase of 50 percent. For a region long driven by wealth inequality, this is a remarkable achievement. I see a region that has come a long way from the “lost decade” of the 1980s and is emerging as a driver of global growth. But we have much more to do to ensure that Latin America’s people share in their region’s growing prosperity. 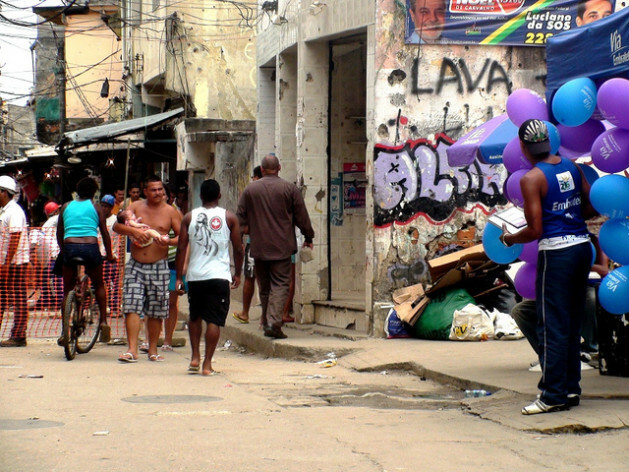 Although inequality is declining, Latin America remains the world’s most unequal region. From 2008 to 2010, Latin America was home to eight out of 10 countries with the world’s highest rates of income inequality, as measured by the Gini coefficient. Intergenerational mobility also remains limited: a young person’s parents’ economic and social background, as well as whether they were born in a rural or urban area, still largely determines that person’s economic future. And, in countries that have benefited from the commodity boom of the last decade, the benefits of natural resource wealth have failed to reach all members of society, fueling social tensions among those who feel left behind. If unaddressed, inequity will continue to stoke volatility across the region. But striving for shared growth isn’t just the right thing to do from a social and political perspective; it’s an economic imperative. World Bank research suggests that when poverty levels increase by 10 percent, growth decreases by one percent and investment falls by up to eight percent of gross domestic product (GDP). Delivering on the promise of growth will require Latin American policymakers, along with their partners in the development community, including the World Bank, to ensure that economic gains benefit all citizens. Some countries are showing how this can be done. In Brazil, policy reforms have helped equalise educational attainment. In 1993, the child of a father with no formal education completed four years of schooling on average. Today, Brazilian students complete between nine and 11 years of schooling, regardless of their parents’ education. Conditional cash transfer programmes have also played a role in leveling Latin America’s economic playing field. In the 1990s, Mexico and Brazil pioneered these programmes, which provide cash payments to the poor in return for productive activities, such as enroling children in school, and mothers going for medical check-ups. Similar programmes have sprung up across the region. We know that overcoming the region’s history of economic inequality is possible. But what will it take to achieve shared prosperity for all? First, governments must ensure that the market doesn’t leave people behind. Latin America’s strong gains in poverty reduction in the past decade resulted from increased wages and better-targeted social policies. This trend must continue. Second, policymakers should do more to provide disadvantaged children with quality education. Doing so would raise their productive capacity and enhance social inclusion by empowering poor children to participate more fully in their economies. Finally, leaders must improve their ability to deliver services to the poor. Without improved capacity for quality delivery, even the best policies will mean little to their intended beneficiaries. The World Bank will provide support in this area, by helping Latin American governments take a more scientific, evidence-based approach to the delivery of development services. Latin America has made tremendous progress in recent years. But more needs to be done. When I visit the region, I look forward to learning what it will take to ensure that opportunity and prosperity extend to all of Latin America’s people.